Very spacious, reliable and solidly built. 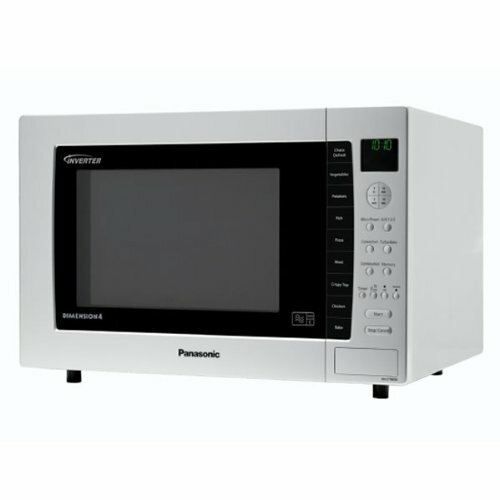 An incredibly versatile microwave from Panasonic. Quite large - make sure it will fit your kitchen. 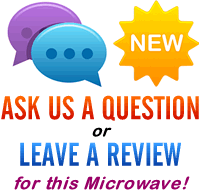 Looking for a powerful and spacious combination microwave? The Panasonic NN-CT880MBPQ microwave will fit the bill, with a massive capacity of no less than 32 litres, as well as a 1kw (1000w) power output. In terms of size, it's pretty big - measuring 50.8cm by 53.0cm by 34.4 cm - so make sure you have room on your work surface, or kitchen shelf, before buying. It is pretty light for it's size - weighing a lot less than we expected, due to the built in inverter technology. It's stainless steel finish is quite frankly stunning, and our testers were all in favour of the NN-CT880MBPQ from an aesthetics perspective. The grill features 3 settings - with an overall output of 1500w, with the convection oven featuring a 100-250C temperature range. Another handy feature is the Catalytic Self Clean Back Lining - which stays remarkably clean, thus leaving you more time to get on with other more fun chores than cleaning out the microwave after use. 11 Auto Programs are included, as is the the awesome Panasonic Chaos Defrost system. The controls are incredibly well labelled, and overall we would highly recommend this silver microwave - it both looks and works superbly. If you can stretch to the price tag, then it's well worth buying. The Panasonic NN-CT880MBPQ is a huge combi microwave, with a substantial 32 litre capacity, and built like a tank. If you're after a large and reliable combi microwave, then the NN-CT880MBPQ is well worth considering, and comes highly recommended! Inverter Technology meaning a lighter overall microwave in terms of weight. 11 Auto Programs for ease of use. Catalytic Self Clean Back Lining - meaning less maintenance for you. I’m afraid we haven’t been able to locate a manual for this particular model – however if you contact Panasonic’s customer support, then they should be able to either advise you over the phone or send you out a replacement manual.